This sea turtle from Hawaii will brighten up any ocean themed or kids room. Honu means "turtle" in the Hawaiian language. 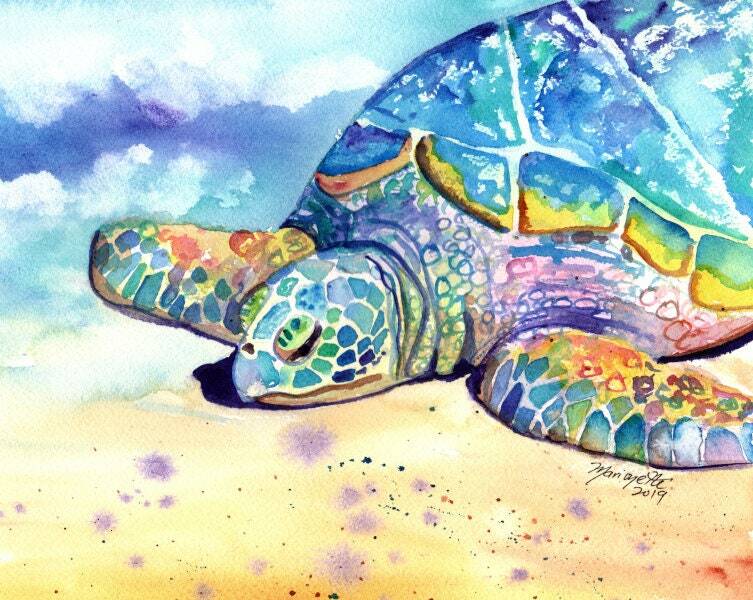 "Sunbathing Turtle 4" is an original watercolor painting measuring approximately 8"x10" and comes with a signed "Certificate of Authenticity" and packed in a clear sleeve with a backing board (unframed). Colors may vary slightly from monitor to monitor.